I began this writing with a quote from one of the Founding Fathers of the United States, Benjamin Franklin: “By failing to prepare, you are preparing to fail”. This quote is matched if use in preparedness phase. If we and all respective parties are not well prepared then we must be prepared to face huge losses. Of course we all hope disasters will never happen. However, would be better if we all remain to be alerted and prepared. 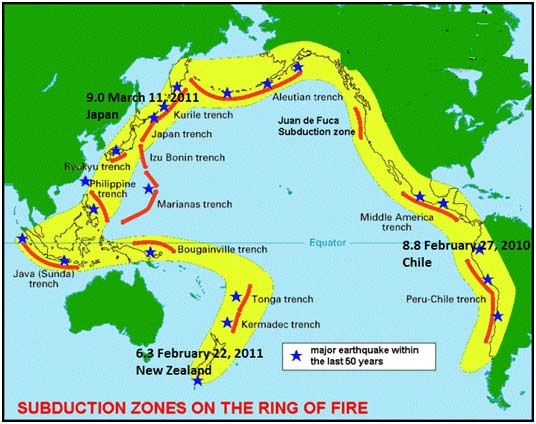 For us in Indonesia, we are in the “ring of fire”, definitely we need to improve our preparedness. The most obvious example is this time in July we supposed to be in dry season but rainfall in Greater Jakarta areas still high. The phenomenon of climate change has also become an input to further improve our preparedness. In the previous post, we have seen the outline of preparedness is readiness or capacities of government, organizations / professional institutions, communities and individuals in anticipation of possible disasters, to respond when it occurs and how to effectively recover from disaster. “Preparedness is the knowledge and capacities developed by governments, professional response and recovery organizations, communities and individuals to effectively anticipate, respond to, and recover from, the impacts of likely, imminent or current hazard events or conditions”. So we can draw a conclusion, in essence, preparedness is our readiness before, during and after a disaster. Each type of disaster requires different measures, however the main idea of preparedness is our ability to quickly and appropriate respond when required. Currently, many preparedness training conducted by governments or professional response and recovery institutions in which the training made based on analysis of disaster risks in respective locations. One example of preparedness training that familiar with us is fire drill. Fire is one of the most common disasters. Commercial buildings should have a contingency plans for fire and regular agenda for fire drill. The fire drill has to be conducted and attended not only by building occupants, but also building management staffs. One of the most important to be trained is when the fire alarm has been sounded, all occupants are expected to not panic and get out of the building by using a route that has been made ​​towards to the evacuation point. So in principal, fire preparedness is to make your place fire safe, plan escape routes, and escape safely. At this writing I only made the general idea of ​​disaster preparedness, in the future we could see further on several types of disaster preparedness.